Made of T309 (1.4828) Grade Stainless Steel and Hand-polished to a mirror finish. The CAPRISTO valved exhaust system helps low rpm torque by providing back pressure in the exhaust, and raises temperature for good catalytic converter operation. 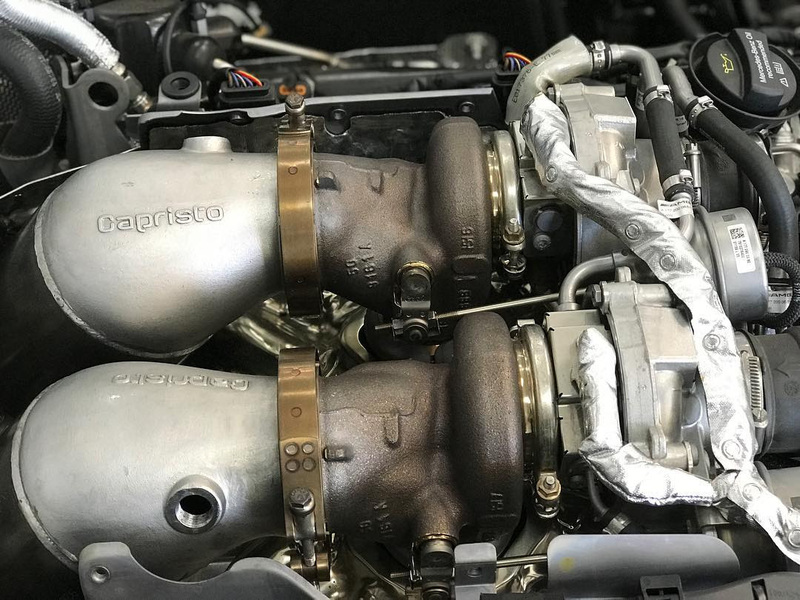 While in the open valve condition for high rpm, it takes full advantage of the free flow characteristics of the CAPRISTO Downpipes optimizing the high energy exhaust at the ideal temperature and back pressure to maximize performance. 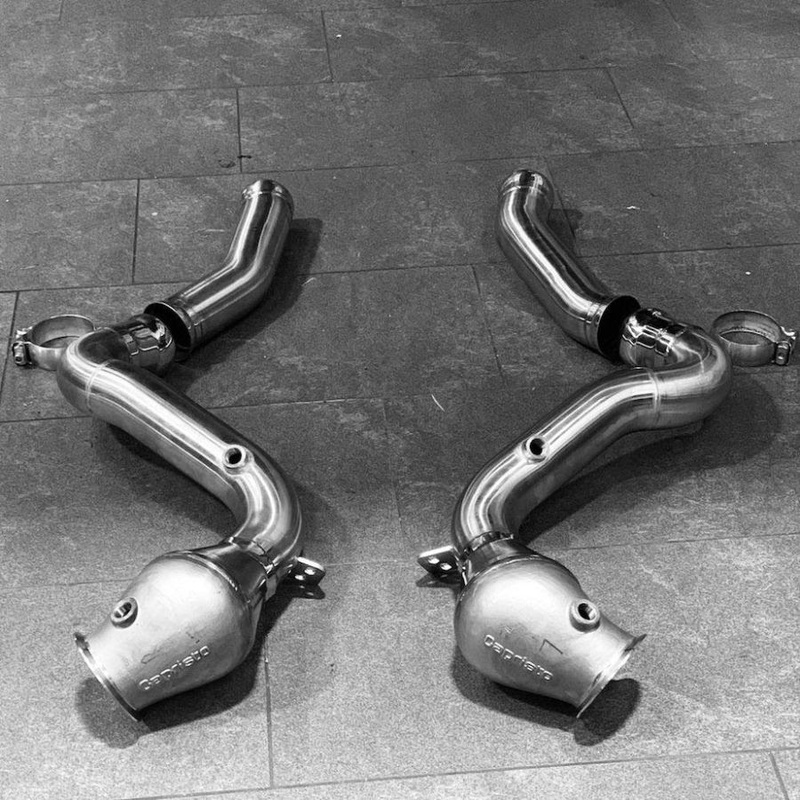 The W205 Catalytic Converter or Cat Delete downpipes can be easily fitted to a CAPRISTO exhaust systems or any system that fits directly to the OEM exhaust. Replacing Your OEM Catalytic Converter/s may trigger a CEL (Check Engine Light). To disable a recurring CEL you will need to tune the ECU. CAPRISTO Exhaust systems are engineered and manufactured utilizing advanced 3D Laser-Scanning, CAD Design, Digital prototyping, and CNC-bending/milling at their factory in Germany. Each system is made of high-grade T309 (1.4828) Stainless Steel and hand polished to a mirror finish. After extensive research, this specific alloy was chosen for its sonic resonance properties, low weight, and durability which are close to the properties of Inconel (used in F1). 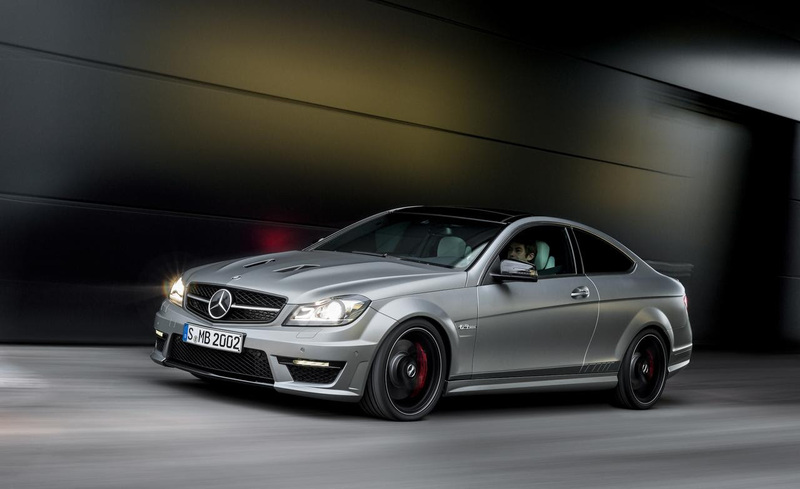 At the Auto West Group, we are exceptionally driven. Our mission is to build lifelong relationships between our customers and employees, while also tailoring dealership experiences to best embody the promises inherent in each vehicle brand. © 2019 AWG Performance One Ltd. All rights reserved.